An article published in 1934 describes the flavour of bandicoot stew. At the time of the article, bandicoots in Australia were already under threat. While not favoured by the writer, bandicoots were easy prey for another species: the red fox. Together with habitat loss, predation by foxes drove many bandicoot species to extinction or near-extinction. One of these species was the Eastern Barred Bandicoot. 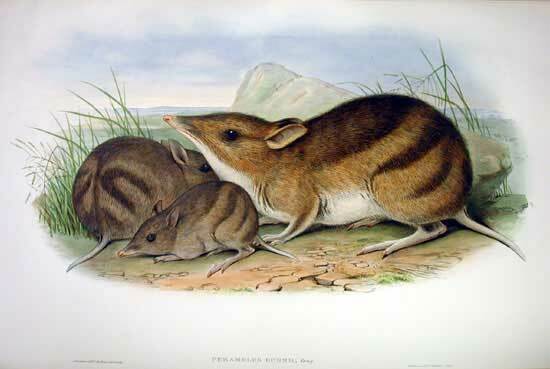 These bandicoots were once common across Victoria, Tasmania, and parts of South Australia. Today, the Eastern Barred Bandicoot is listed as extinct in the wild on mainland Australia. What does it mean to lose a species? When we lose a native animal, we lose not only its presence, but its function. The Eastern Barred Bandicoot, like other bandicoots and bettongs, is an important ‘ecosystem engineer’. It searches for insects and worms by poking its long snout into the soil. By doing so, it aerates the soil, promoting the growth of native plants. The Victorian Eastern Barred Bandicoot was not lost, though – not entirely. 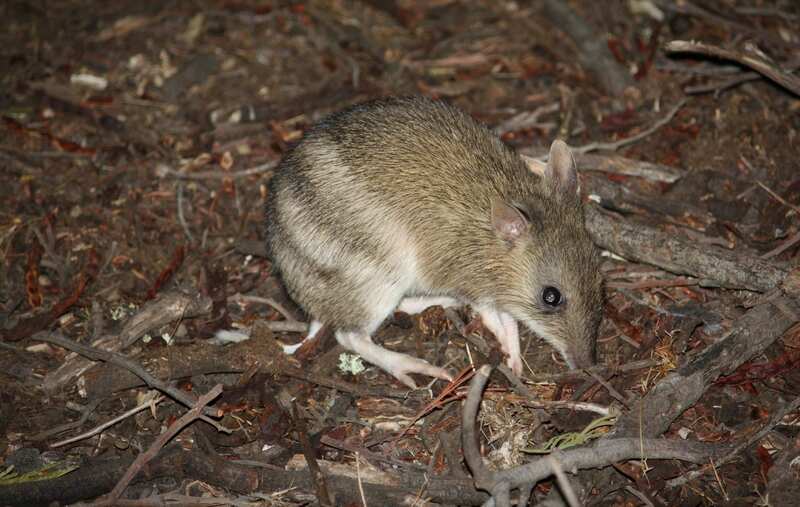 In 1988, 40 bandicoots were collected from Hamilton, the last remaining population in Victoria. A captive breeding program, initiated by the State Government and then subsequently coordinated by Zoos Victoria, kept the species going in Victoria. Today in Victoria, there are three Eastern Barred Bandicoot populations protected by fox-proof fences, and two island populations – the species can only persist where there are no foxes. The largest Victorian population is at Mount Rothwell Conservation and Research Centre. Mount Rothwell, which is west of Melbourne, now has a stable, self-sustaining population of over 600 Eastern Barred Bandicoots. It has taken a phenomenal effort, from many organisations, to bring the Victorian Eastern Barred Bandicoot back from the brink of extinction. But how do we make sure these populations survive, long into the future? Unfortunately, Victorian Eastern Barred Bandicoots have suffered a significant decline in genetic diversity. This is a common issue for threatened species. When a population is very small, then expands through breeding, the genetic makeup of that population remains limited. Low genetic diversity makes populations less adaptable to a changing environment, and more vulnerable to disease. They can also suffer from lower fitness and population growth because of inbreeding, limiting their capacity to survive. Researchers from The University of Melbourne, however, have a solution. Geneticist Dr Andrew Weeks was recently part of a team that used ‘genetic rescue’ to help save the Mountain Pygmy Possum. The project, which involved a collaboration between The University of Melbourne, La Trobe University, The University of New South Wales, and Mount Buller and Mount Stirling Alpine Resort Management, was a resounding success. The team was even nominated for the 2018 Australian Museum Eureka Prizes, which recognises excellence in research and innovation. So how did it work? The concept of genetic rescue is simple. Individuals from a large, genetically healthy population are introduced to a smaller, more inbred population. In the case of the Mountain Pygmy Possum, possums from Mount Hotham were moved to Mount Buller. 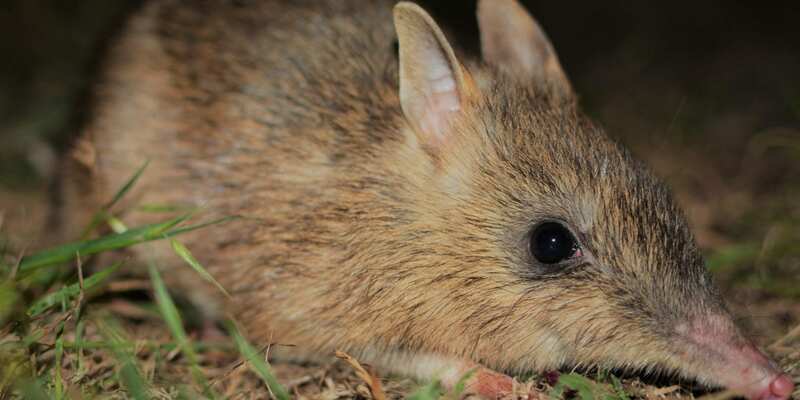 For Victorian Eastern Barred bandicoots, the larger, genetically healthy population is a little further afield – Tasmania. Because Tasmania has remained fox-free, the Eastern Barred Bandicoots there have fared much better than in Victoria. Recently, some Tasmanian males were brought to Mount Rothwell and successfully bred with Victorian females. Honours student Ruth Healy-McFarlene, who is supervised by Dr Andrew Weeks and Professor Ary Hoffmann, has been measuring the growth and health of the offspring. This genetic rescue is coming at a critical time. 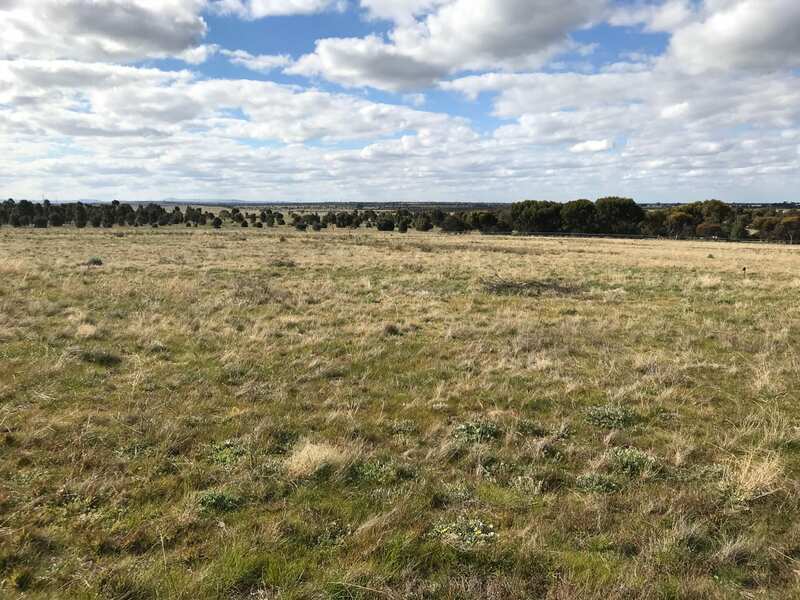 Next year, Eastern Barred Bandicoots from Mount Rothwell will be released at a new fox-free property in Tiverton, Western Victoria. The 1,000 hectare property, owned by Nigel Sharp – the owner and founder of Mount Rothwell – is expected to become home to more than 2,000 bandicoots. This release could be a major turning point. If successful, the Victorian Eastern Barred Bandicoot would be downgraded from ‘endangered’ to ‘vulnerable’ under the Federal EPBC Act. To ensure the success of the release, it will be important for these bandicoots to be as genetically diverse as possible. 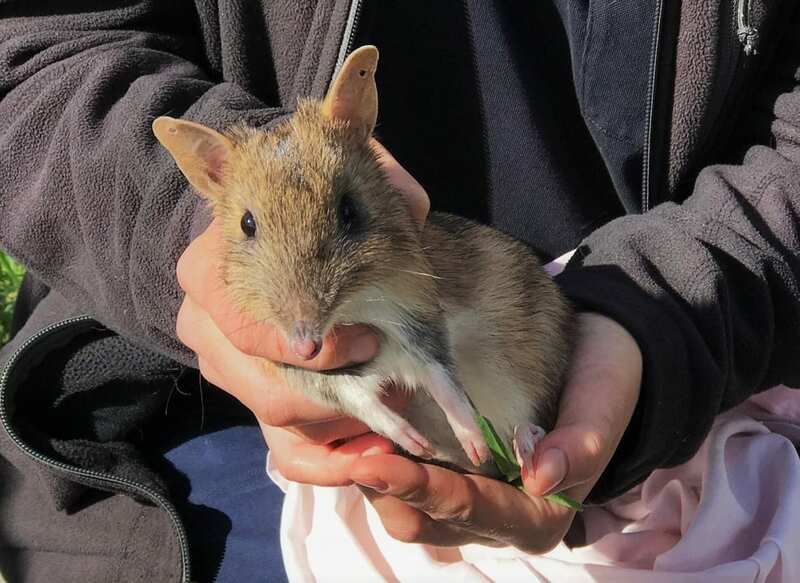 For this purpose, Dr Weeks and his team are crowdfunding to bring 15 male Tasmanian Eastern Barred Bandicoots to Mount Rothwell. Fifteen bandicoots might not sound like many. However, the genetic recovery of Mount Buller Mountain Pygmy Possums only required six Mount Hotham males. Dr Weeks estimates that even one male Tasmanian bandicoot could increase genetic diversity in the Victorian population by 15%. Five males would increase it by 40%. Fifteen males – the ideal target – would increase it by up to 80%. Catching 15 male Tasmanian Eastern Barred Bandicoots is not easy, either. To guarantee catching even one male suitable for breeding, Wildlife Ecologist Dean Heinze has to set multiple traps over many nights. The total cost of trapping and translocating one Tasmanian male to Mount Rothwell is approximately $1,000. The genetic rescue of the Eastern Barred Bandicoot now hangs in the balance. With enough financial support, the project will secure the future of an endangered species. We might not be able to undo all past mistakes, but we have learnt enough to get out of the stew we are in. This article was original published by Remember The Wild.